Kenelm Digby is considered the creator of the commercial wine bottle. In the 1630s, Digby manufactured wine bottles which had a tapered neck, a collar and a punt. Digby’s bottles were much more durable than what was available. He made them in green or brown color which protected the contents from light. In 1662 parliament recognized his invention of his technique for the modern wine bottle. 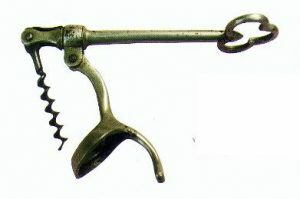 The original corkscrews were called “worms”. It had a handle and attached in the center was a pointed helix. You would screw the worm into the cork and extract it. 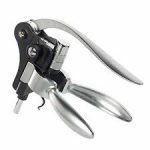 Corkscrews became necessary as it was difficult to remove a cork. Its original design was derived from a tool that was used by the musketmen to remove gunpowder from charges that were unsuccessful from the muskets. 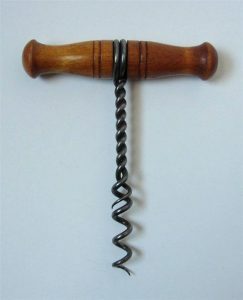 In 1681, it seems to be the earliest reference to a corkscrew, referring to the “steel worm” used for removing corks. In 1795, a patent for the first corkscrew was issued in England. His alternation from the original had a disk attached which prevented the worm to go into far and getting stuck. 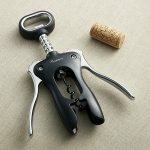 Then in 1802, the next patent was issued for a single hinged corkscrew in 1882. From there you had the single lever, double hinged, screw pull, winged and all the modern styles including the “rabbit”. I prefer the double hinged style which I use every day. My father gave me one many years ago that I adore. 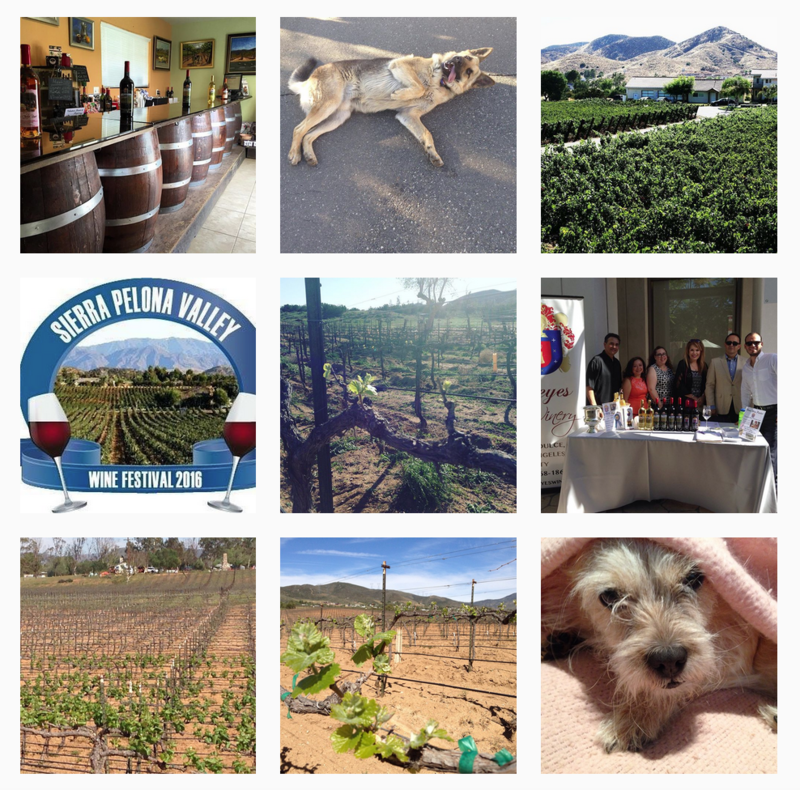 My fondest memories of my dad were all the winemaker dinners he had me attend with him. I had gone to a winemaker dinner a few years ago and had beef bourguignon. It was so delicious. When we tasted the Les Deux Rois when writing the label, I remembered that winemaker dinner and thought this was the perfect pairing. Then again when we were creating the blend, we said that this would be great together. Even though Les Deux Rois is a Bordeaux style blend and beef Bourguignon comes from Burgundy.Traditionally it is paired with a pinot noir, but I prefer Les Deux Rois. Originally, this is made with pearl onions and lardons. I love using sweet onions in this dish. I don’t generally use bacon or lardons in my cooking. Les Deux Rois has been awarded a Gold Medal rated at 90 points from the 2014 San Diego International Wine Competition, 2nd Prize for best label from the 2014 OC fair plus a bronze medal.This is a blend of California Cabernet Sauvignon and Merlot. The label depicts Robert Reyes’ family crest, which represents an extensive ancestral history. 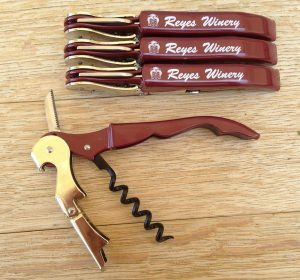 This was the first of several delicious wines, Reyes Winery will proudly be releasing in the future from the Renaissance label. 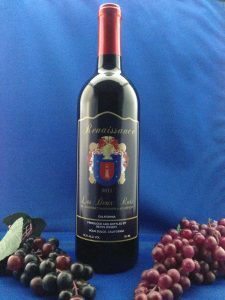 It has a rich ruby red color with aromas of plum, dark cherries and a hint of cocoa. On the palate you get a continuity of its delectable aromas. Hope you enjoy this scrumptious dish as I do. For the marinade: In a large bowl, combine the Renaissance by Reyes Les Deux Rois wine, onions, carrots, parsley, bay leaf, garlic, peppercorns and salt. Mix well and add the beef. Cover and marinate in the refrigerator at least overnight. After the meat has marinated, Strain the meat from the vegetables and marinade; reserve marinade. Heat Dutch oven on stove with medium heat. Add half the olive oil and butter. Sear the meat for about 5 minutes or until browned on all sides. Transfer meat to a separate container and rest. In the same pan, pour a cup of marinade into the pan to deglaze. Scrape the bottom to loosen up all the little bits, which is called “fond”. Return this liquid to the reserved marinade. Heat the remaining oil in the pan. Add the onion and carrot from the marinade, along with the additional onion that you’ve chopped, and saute for 5 minutes, or until tender. Add to container with the meat. Add tomato paste, garlic, beef broth, reserved marinade and salt and pepper to taste. Bring to a boil and whisk removing the lumps. Add this to the meat and vegetable mixture back to the pan. About 15 minutes before meat is done baking add mushrooms. 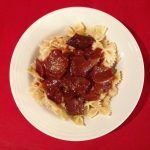 Serve over fettuccine noodles or rice.